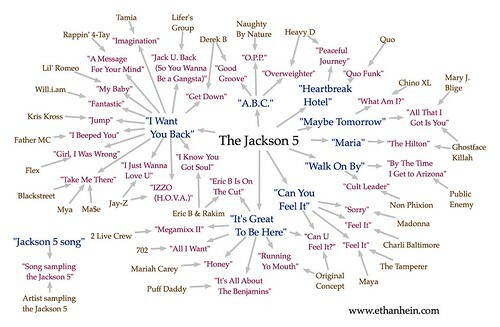 Cool map charting Michael Jackson's considerable influence to hip-hop. Hi, I’m the guy who made the map. Thanks for posting it. I also did one of the Jackson Five that you might enjoy.